Address by Rabbi Raymond Apple at Beit Avi Chai, Jerusalem, on 14 May 2018, at an event hosted by the Jewish Historical Society of England Israel Branch. A video of Rabbi Apple’s presentation can be viewed here. A minhag is an accepted usage, not necessarily required by halachah (Jewish law) but consonant with it. Minhag has been defined as “accumulated social practice”. Attitudes to minhag fluctuate. The popular saying derived from the Jerusalem Talmud, A minhag brecht a din (minhag mevattel halachah, “custom overrides a law”) is opposed by another saying, “The minhag of our ancestors is Torah” (Tosafot, Menachot 20b). The root of minhag is nun-heh-gimel, to drive or conduct, which occurs in the Bible in II Kings 9:20 in connection with driving a chariot. In relation to worship, law dictates the general principles whilst the words, rubrics, pronunciation, melody or stance often depend on local custom. All Jewish traditions have a range of prayer rites and practices. 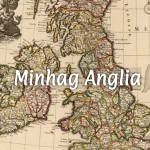 Amongst non-Chasidic Ashkenazim, both Minhag Ashkenaz (the German rite) and Minhag Polin (the Polish rite) have influenced the English usage, which became known as Minhag Anglia. According to Rabbi Arnold Mishcon, this phrase was first used at the United Synagogue Council in the early 1920s. Judge Israel Finestein believed that it was probably not coined deliberately but flowed naturally from the structure of English Judaism which sought to be traditionally Jewish dressed in English garb. In time Minhag Anglia was taken for granted: for example, Chief Rabbi Israel Brodie instructed the Hampstead Synagogue to follow a particular ritual (“duchaning”) on occasions when it was “the English minhag” to do so. Chaim Bermant gave the phrase a facetious twist when he said that in English synagogues the minister spoke English correctly and people did not spit on the floor. There is a belief that Minhag Anglia was created by Nathan Marcus Adler in mid-19th century but the truth is more complex. The English usage preceded Adler as we see from the old prayer-books analysed by Dayan Dr Isaac Lerner in “Torat HaMinhagim: Studies of the Nusach HaTefillah and Other Minhagim of the United Synagogue, London”. Dayan Lerner sourced many English customs to the siddurim of 17th/18th century synagogues that reflected Continental usages which migrants brought to Britain. Adler thus inherited a existent minhag, though he later allowed minor changes. Another line of usage was followed by the Spanish and Portuguese Jews though today some Eastern and Sephardi groups retain slightly different customs from their lands of origin. Like English religion as a whole, Minhag Anglia concerned itself more with liturgical form than theology, though there are traces of 16th/17th century mystical movements in the Sabbath eve prayers and the meditations that precede certain rituals. On the whole, though, British Jews were opposed to kabbalistic ideas. What Adler did for Minhag Anglia was to co-ordinate, centralise and supply a stamp of authority. However, in a leaflet of 1890, H. Guedalla complains of “the number of rituals and customs in existence and the eccentricities which many of them contain”. Singer’s prayer book helped to strengthen Minhag Anglia, though Adler was involved at every stage and had more influence than appears. The same is true of FL Cohen and DM Davis’ “Blue Book”, the synagogue music book. Adler felt it more important to have co-ordination than for his name to be attached to everything. The Minhag Anglia version of the liturgy was the Routledge machzor (1906) edited by HM Adler and DM Davis, endorsed by the Adlers and now revised by Chief Rabbi Jonathan Sacks. The Singer siddur followed sources such as Seligmann Baer’s Seder Avodat Yisra’el. For example, in the early morning blessings the negative form, shello asani nochri, shello asani aved… (“who has not made me a heathen, who has not made me a slave”), recalls the Talmudic view (Eruvin 13b) that it would have been better if man had not been created, though the Great Synagogue siddur of 1776 has the positive wording, She’asani Yisra’el (“who has made me a Jew”). What of the Reform liturgy? The London Reformers attempted to meld and modify Ashkenazi and Sephardi ways, hence the name, “West London Synagogue of British Jews”, neither German/Dutch (note the absence of “Polish”) nor Spanish/Portuguese. The Ashkenazim were sometimes called “Dutch”, possibly because the similar-sounding “Deutsch” means “German”. Reform rejected the Oral Law and rabbinic enactments, though not consistently. More radical changes were made later by Reform and Liberal groups, including more English in prayer services. The Singer siddur formerly stated on the Hebrew title page that it followed Minhag Polin, brought to Britain by 18th century migrants, especially from Hamburg in north-eat Germany. The United Synagogue Act and its Deed of Foundation and Trust seem to equate the Polish and German rites. The two are similar but not identical. Jews to the west of the Elbe River generally used Minhag Ashkenaz: those to the east (including German cities such as Berlin and Hamburg) used Minhag Polin. To complicate the issue, even Minhag Polin congregations favoured some features of Minhag Ashkenaz such as Hebrew pronunciation and musical modes, preferring major to minor keys. The 2006 version of Singer edited by Rabbi Sacks announced its adherence to Minhag Anglia, which Sacks’ holyday prayer books also acknowledged. Nonetheless some Minhag Anglia customs have now lapsed such as limiting the number of shofar notes on Rosh HaShanah to 42 instead of 100, and leaving the Ark open throughout the repetition of the High Holyday Amidah instead of opening and closing it many times for the piyyutim (liturgical hymns). The new minhagim are not necessarily more authentic since they are amongst the accepted options. The date of the changes cannot be precisely pinpointed since gradual change is part of the functioning of custom. Adler was certainly in sympathy with the wish for better organised services. Hence Minhag Anglia went beyond liturgical content to worship attitude and posture. To gain dignity, decorum and demeanour, Minhag Anglia believed that synagogues should be stately and services aesthetic. Congregants should look tidy and behave properly; no-one liked the thought of “foreignness”. Urbane sermons in the vernacular should be given by clergy able to quote Shakespeare. Halachic knowledge was not highly prized. Anglican churches were said to be the Tory Party at prayer; the synagogues were for English Jews who did not so much come to daven but to sit nicely and render the set responses. It all reflected the 19th century Christian environment, which stressed preaching, hymn singing and decorum. There was a drawback. The endeavour to bring propriety to synagogue life led, as Sefton Temkin wrote in the Jewish Chronicle of 20 November, 1953, to the fact that “the cohesion, of which Anglo-Jewry was proud, now results in rigid control from above. This in turn finds expression in a chain-store synagogue, in which the same branded goods, dressed in the same style of packaging… can be picked up at any establishment”. Temkin is not completely right – there was a degree of room for individual difference in establishment synagogues – but he is not completely wrong either. United Synagogue ministers were generally comfortable to move from one congregation to another. There were few exceptions. The Hampstead Synagogue was one. Writing in the Synagogue magazine as late as 1984, Lionel Simmonds said: “Hampstead’s speciality lies in its devotion to a long and hallowed Anglo-Jewish religious custom and way of faith known as the Minhag Anglia. Essential elements of this are dignity and decorum, reverence for tradition without over-emphasis on pilpulistic niceties, and a service rich in harmonious beauty and one which is meaningful and does not cloy through inordinate length, multiplication of mitzvot or tedious repetitiousness”. Minhag Anglia was possible in the 19th century with a more or less homogeneous community and a standard kind of synagogue. Immigration from Eastern Europe varied the picture with the immigrant chevrot which wanted the warmth, passion and orthodoxy of “home”. They thought the establishment was too accommodating, though they themselves later adopted many of its ways. Minhag Anglia was too hard to topple. German-style orthodoxy gained strength in the 1920s and 30s and brought more of Minhag Ashkenaz. Reform remained very English, as did Liberalism and later the Masorti movement. Eventually charedi-type orthodoxy promoted greater observance and learning, giving the impression that there was something inauthentic about Central and Western European modes. The shift to the right even loosened up the establishment, though a factor may have been a general English abandonment of formality. Canonicals and clerical collars, top hats and striped trousers, were dismissed as weak, wavering, cold, insipid and in some way un-Jewish. The new orthodoxy challenged the ecclesiastical system, its cathedral-like synagogues and quasi-Anglican services. A breath of fresh air entered Anglo-Jewry but blew away much of Minhag Anglia. A factor at the other end of the spectrum is secularisation. Some Jews rarely enter a synagogue other than for life-cycle events. Paradoxically, some fast on Yom Kippur and kindle Chanukah lights but do not engage in regular worship or join a synagogue. Minhag Anglia in the liturgical sense is irrelevant to their lives. But the idea of Minhag Anglia goes beyond liturgy. It has a broader connotation as a corporate ethos, the “feel” and face of its Jews, largely echoing the traits of the majority society. In that sense every community has its minhag. The “English” usage is rather formal and genteel; the “yekkish” is dignified and precise; the American is brash. There is an Italian usage, a French: even a laid-back Minhag Australia. The “English” usage insisted that British Jews were not merely “in” but “of Britain”. They had a passion for England and its ways. It was marked by English pragmatism without much theology or philosophy. Its model and terminology was English. Tefillah was Divine Service. The United Synagogue was the Jewish established church, the chief rabbi the Jewish Archbishop of Canterbury, the Singer siddur the Jewish Book of Common Prayer. Rabbis were Reverends, chazzanim were precentors, shammashim beadles, gabba’im wardens. The Jewish Chronicle was the Jewish Times, the Board of Deputies the Jewish House of Commons. Jews were English to the core. They shopped in the High Street, and spoke the English of their social class. British history was their history, though they also had another history, with their own kings and queens, their prophets, poets, psalmists and philosophers. The interplay of the two histories, the two identities, was axiomatic. It has been said about German Jews, who thought German and Jewish values were almost indistinguishable, that if there were a Nobel Prize for German sentiment it would be won by the Jews. The German Jewish community could not, however, save itself, and German hostility to Jews became ferocious. In Britain too, gentiles were not always sure about Jews. But Britain was tolerant, even though newspapers liked to refer to a person who appeared in court proceedings as “a Jew”, a “wealthy Jew” or “a Jewish miscreant”. Rothschild was a “Jew banker”. It was assumed that a true Englishman was a Christian. Nothing was said about Christians who were wealthy or miscreants. Jews took it for granted that they were patriots, and royal and national occasions were their own. Yet many had to do things in a Jewish way with foibles such as the “Jew Box” at coaching stops where Jewish travellers could have a meal on kosher plates. Jews intrigued the gentiles and sometimes there was prejudice. Jewish integration was questioned in periods of anti-alien immigration, but generally the newcomers tried hard to settle into English ways and become part of the English landscape. Jews became known for their loyalty and respect for the law, though some were accused of exploiting British tolerance – hence the creation of the Trades Advisory Council at the beginning of World War II. Jewish Englishness (or English Jewishness) was reinforced in wartime when Jews served in the forces, often with great distinction. From the 1890s when Francis Lyon Cohen became the first Jewish military chaplain, statistics were compiled to show the numbers of Jews in the navy and army. Jews derived satisfaction from the public rejection of Mosley and other fascist and antisemitic demonstrators whom the public mostly regarded as bad for Britain. Jews themselves felt English and on the whole were seen as such. This was Minhag Anglia in the broader sense. Some Jews saw Britain as merely a stage in their migration, others as a place of arrival. The Jewish Chronicle office once bore a sign, “Britain has done all it could for Jews: Jews will do all they can for Britain”. Jews lived in two worlds: at times the English prevailed, at times the Jewish. At times Jewish leaders and institutions worried about anglicising the newcomers; later they worried about making them good Jews. Chief Rabbi Jakobovits recognised this with the phrase, “Let my people know”. Theodor Herzl felt that Bible-loving Britain would understand the Zionist cause, but in the Jewish community there were robust internal divisions. Hermann Adler deemed Zionism “an egregious blunder”: his successor, JH Hertz, was an unambiguous Zionist. The tussle split the community, culminating in the Zionist takeover of the Board of Deputies at the beginning of World War II. Many Jews, although comfortable with things English, were confused when they saw the Balfour Declaration of 1917 being apparently whittled away by British government policies in and concerning Palestine. They might not say so publicly, but they were torn by conflicting loyalties. The Britain they had trusted seemed increasingly callous. Though Churchill was more or less constant in his pro-Zionism they were far less confident about Ernest Bevin. Whether Bevin later regretted his opposition to Zionism is uncertain, but the decisive time was not his period after politics but his term as Foreign Secretary, which gave Jews such a tense feeling. Britain has not been a full-throated friend of the State of Israel in recent years, and British Jews have experienced an increasing number of antisemitic incidents, though the antisemitism in other countries is worse. This has complicated life for Britain’s Jews, who are naturally encouraged by expressions of British understanding of Israel’s dilemmas but still are not certain whether to feel unsafe. This is not to say that British Jews no longer feel British or English. If one asks a Jew living in Britain, “Do you still feel English?” the answer is likely to be “Of course”, but at the same time they would add that it has become more complicated. Asked which political party is better for Israel, they might say, “The Opposition”. British governments have a generally good record on Israel, though it cannot be taken for granted. These days there are constant terrorist acts which may not be directly antisemitic but unnerve the nation including the Jews. There are many issues that call for research. We need to know not just what the Jews have to say but how the host society views its Jewish minority. English Jews need to be looked at in terms of how they try (with whatever success) to live in two worlds at once. There is now a new factor: the report that around 37% of English Jews are feeling unsafe and are considering going somewhere else, mostly Israel. Sir Eric Pickles told the Jerusalem Post that if Jews left Britain, the country would be diminished and “would not tick”. We need to know what weight to attach to his views, whether gentile attitudes have changed with the altered demography of the British people, and whether the nature of British Jewry has changed because of recent emigration to Israel. Because British Jews still have a special feeling about themselves as Britishers as well as Jews, they would probably be devastated if they felt they had to leave Britain. Would they weep for Minhag Anglia? This entry is filed under Articles, British Jewry, History. WordPress generated this page with 31 queries, in 0.246 seconds.